Everything that glitters in not gold…. I am in total AWE with the shooting of Romy made for the never achieved movie L Enfer by Henri Georges Clouzot. 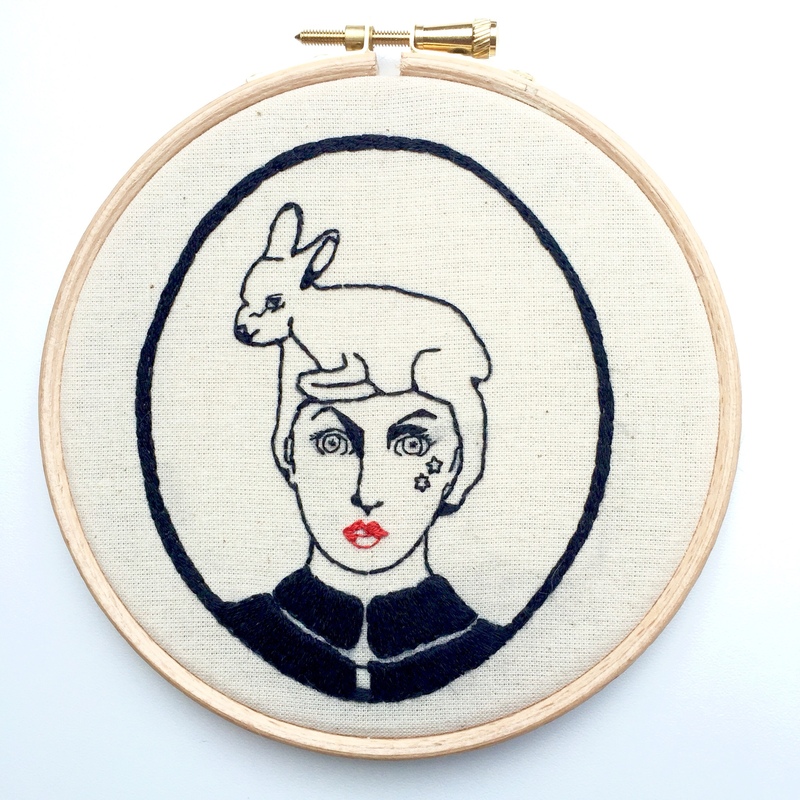 I wanted for very long to embroider some of the images that I have seen and am pretty pleased with this version of Romy s eyes. 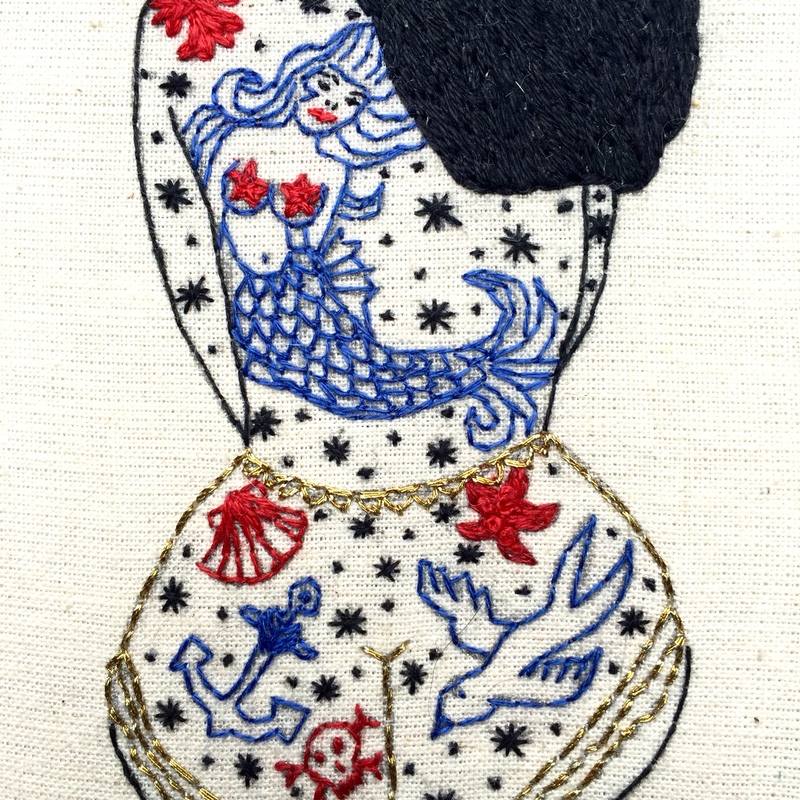 It has been totally scary when I had finished the embroidery and decided to cover it in glitter and glue but it has been a great experience and I might use glitter more often in my needleworks. 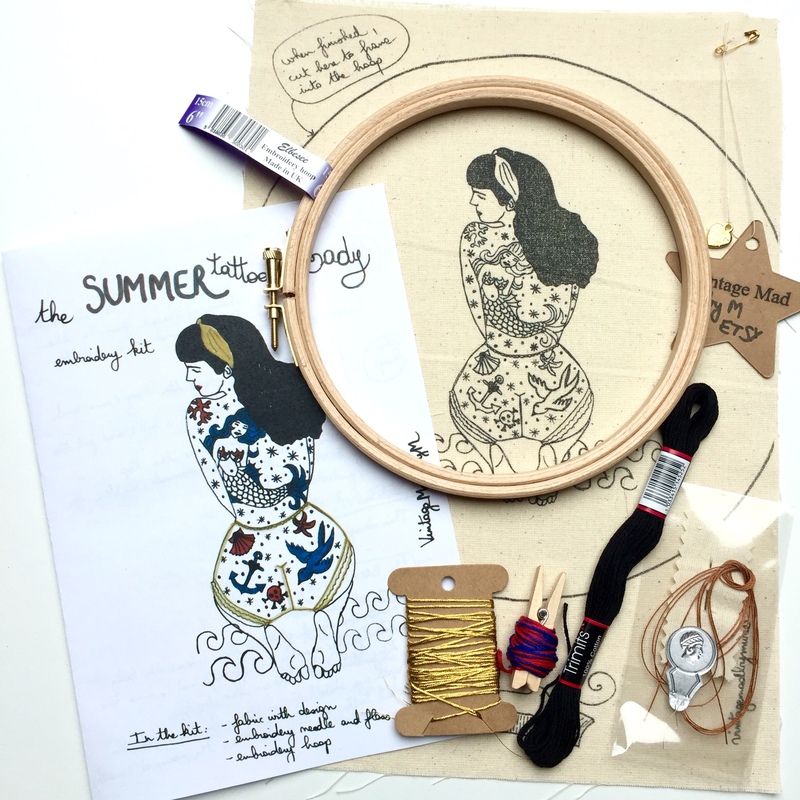 The Summer tattooed Lady Embroidery Kit is out! 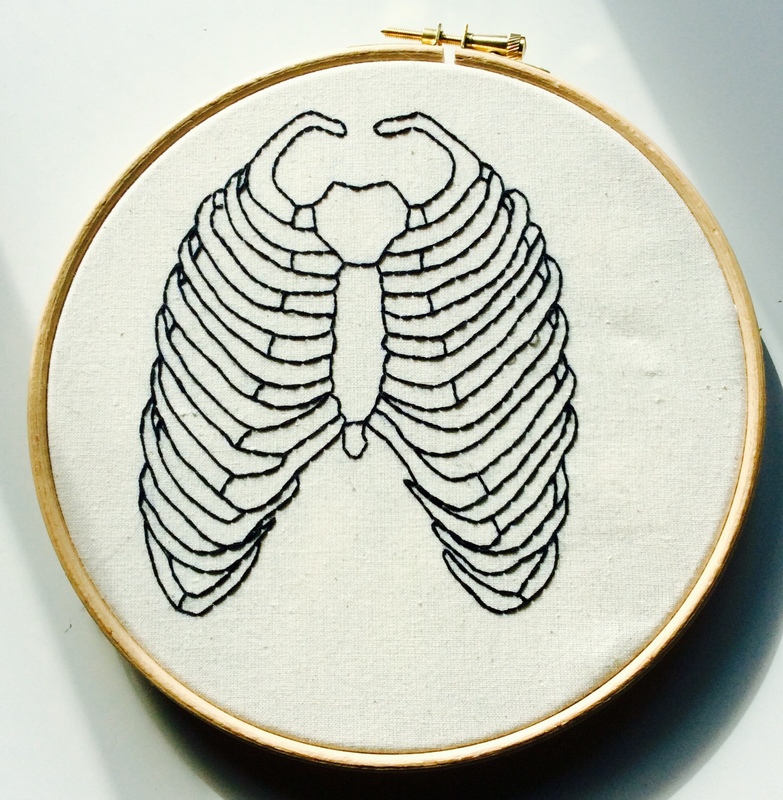 Take a look in her dreamy Etsy Shop to find these. 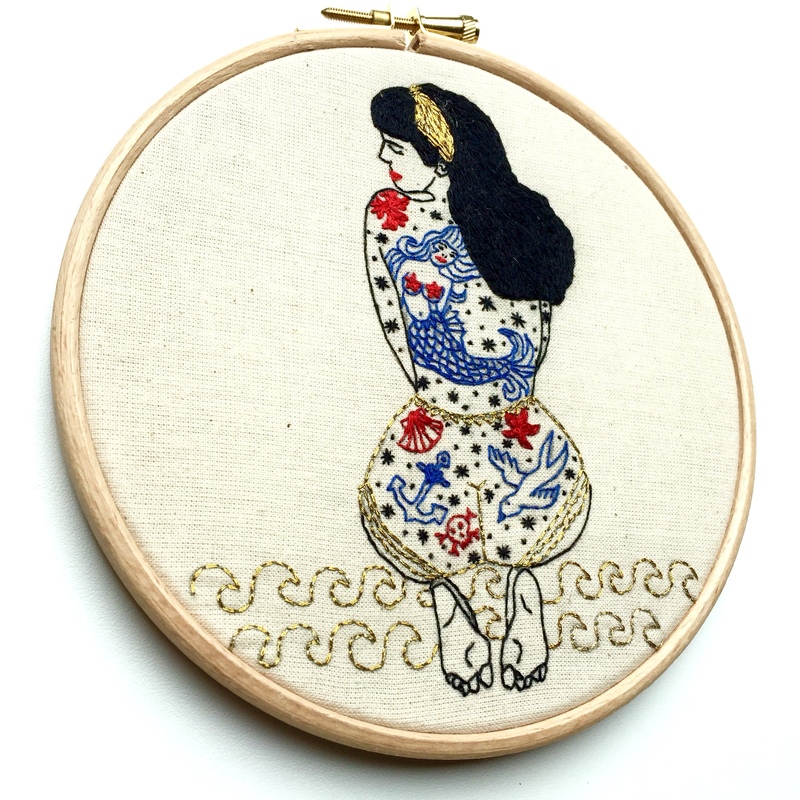 For the ones of you who have entered the giveaway , there is a special offer in my Etsy shop during all june : for each embroidery kit ordered, you will get the free Printed Calico with the design you d like. Just drop me a message with your order with the name of the design you d like for the free printed calico and I will automatically add it to your order. 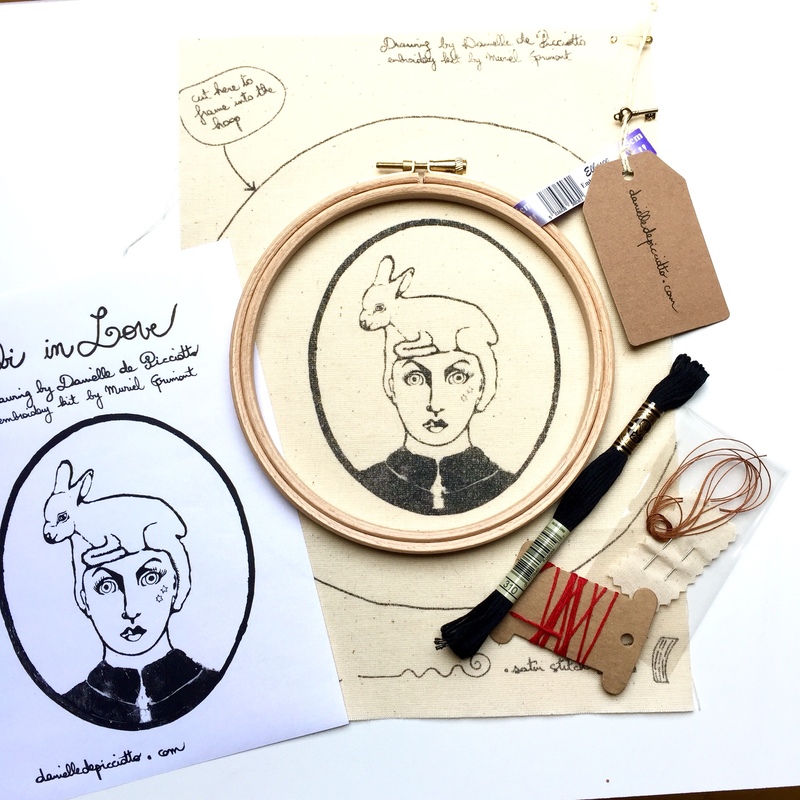 EMBROIDERY KITS SUBSCRIPTIONS available now in my Etsy shop! Good news! 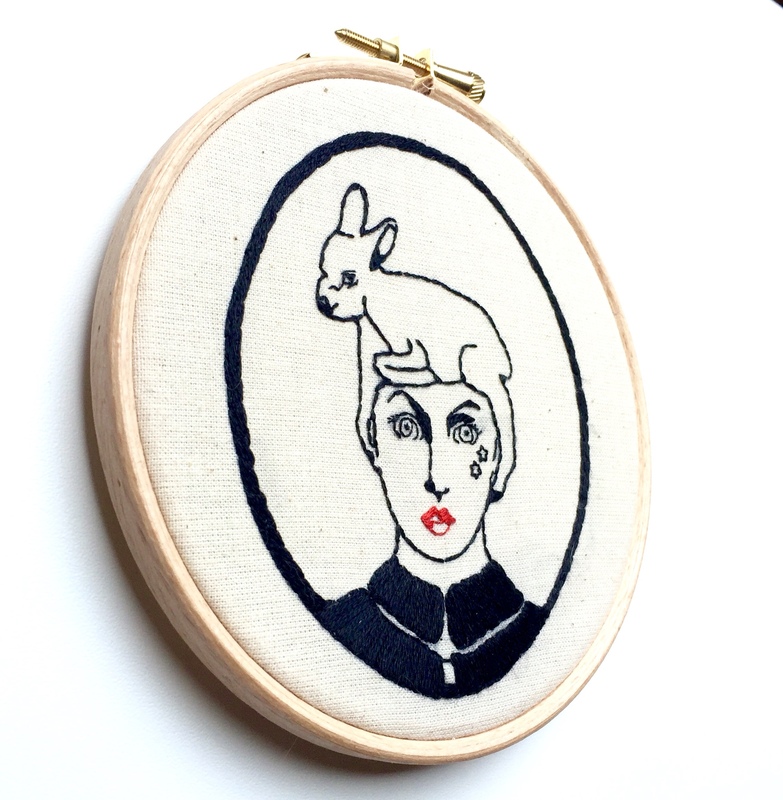 More ( and cheapest ) shipping options in my Etsy Shop! 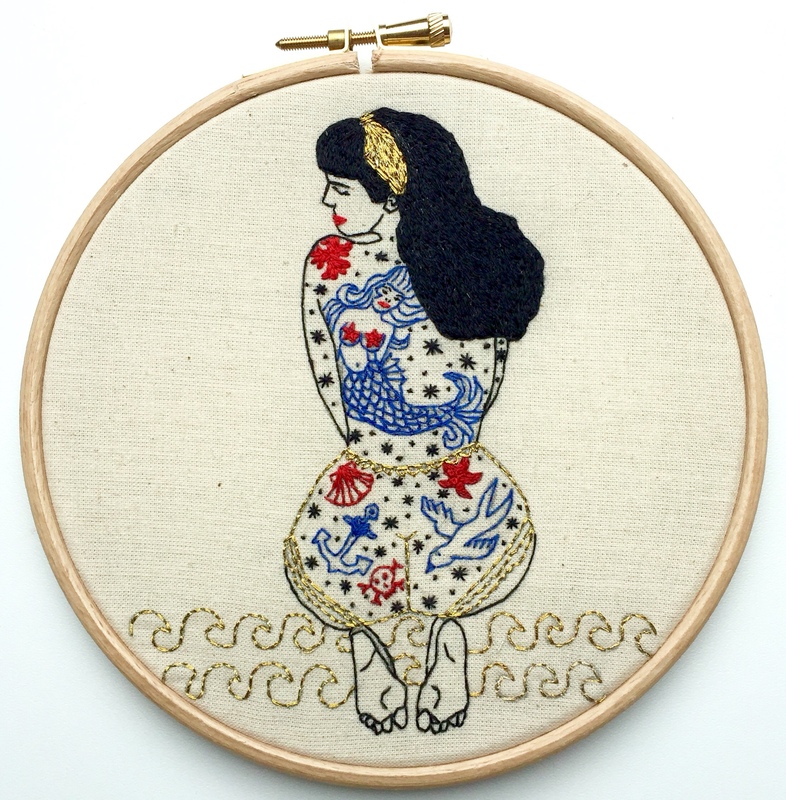 Let s celebrate spring with some new embroidery kits and cheaper shipping options in my Etsy shop! A BIG thank you to all my customers for their great support and awesome words! 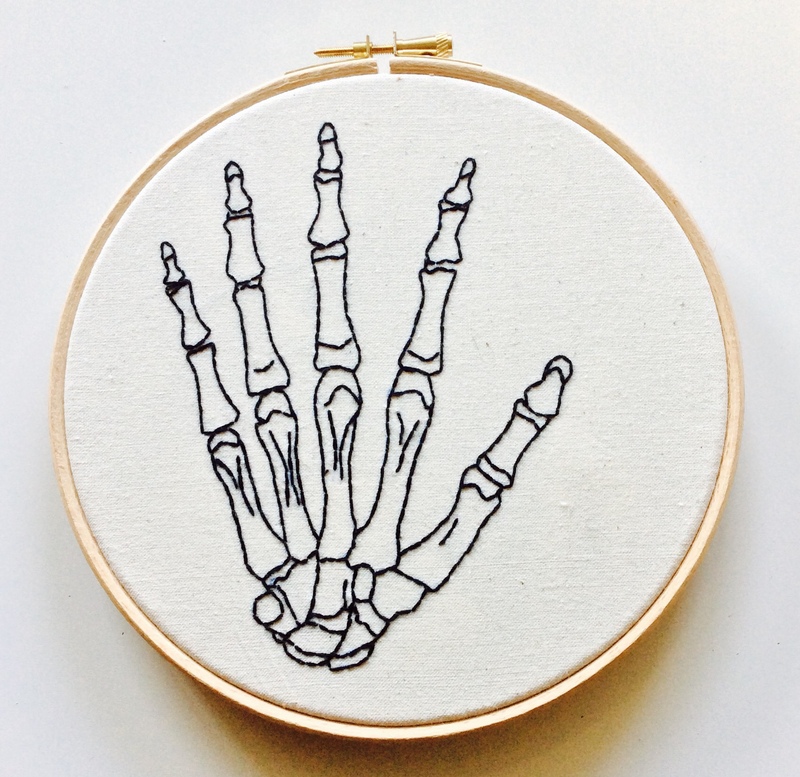 My BONES serie embroidery kits are ready and can be purchased in my new Etsy shop! 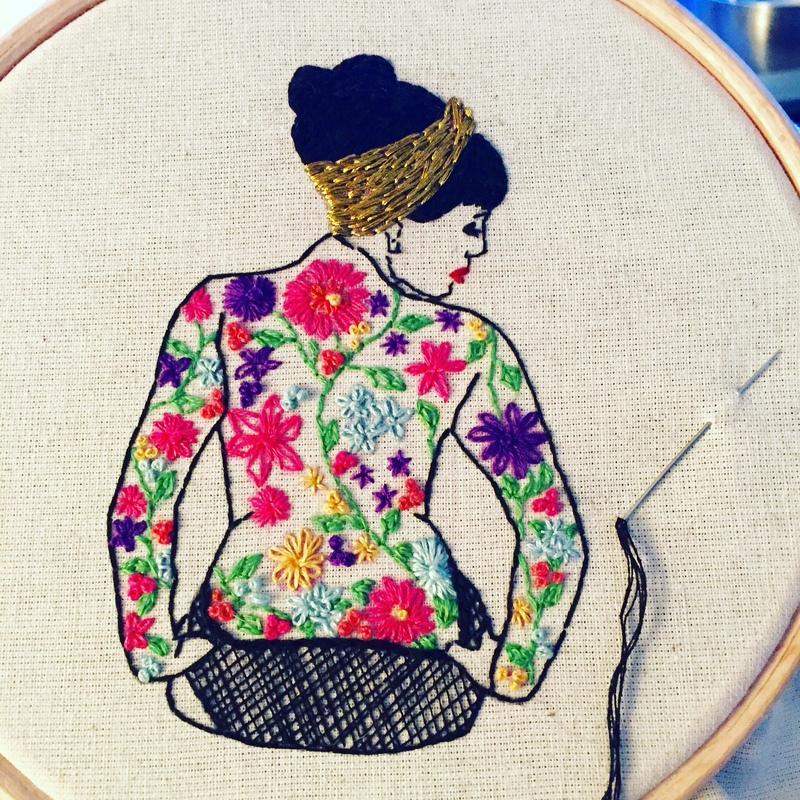 Easy stitching , effective look! 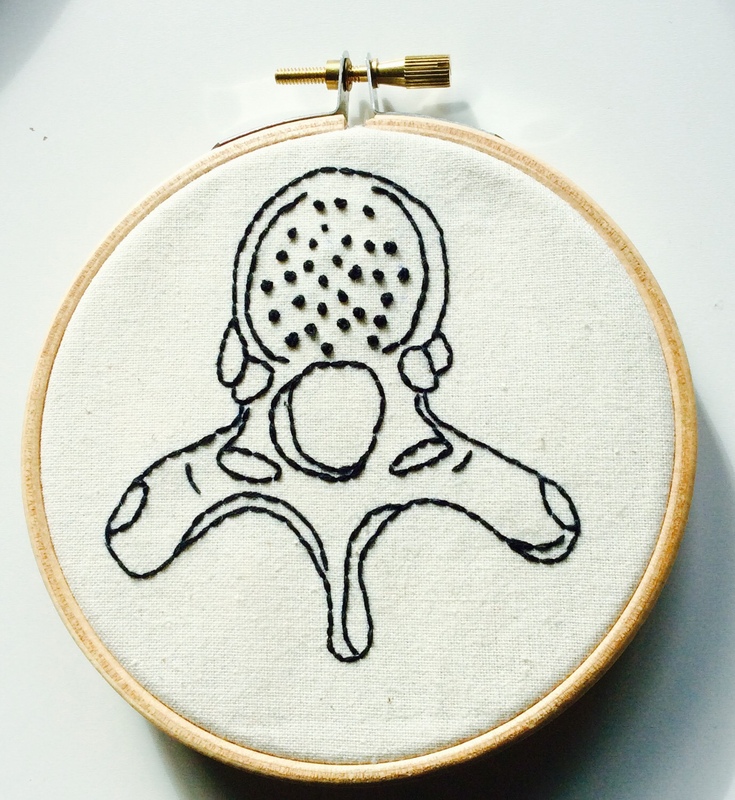 They are between 20-25$ and have got everything you need from the embroidery hoop, to the fabric and thread. They can be shipped worlwide. 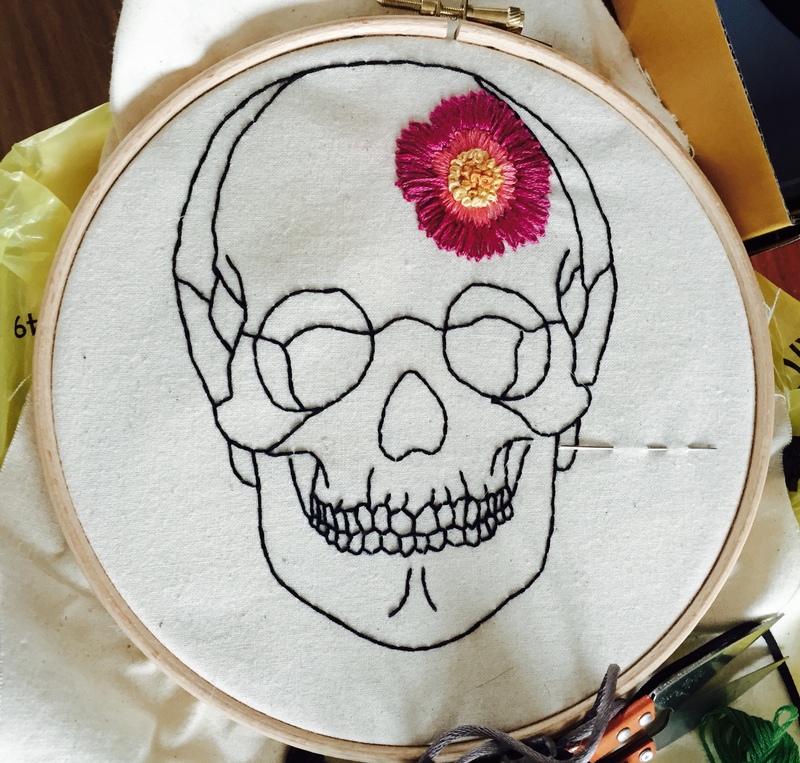 Please note the skull kit only comes with black thread but can be easily customized as you feel with coloured thread.